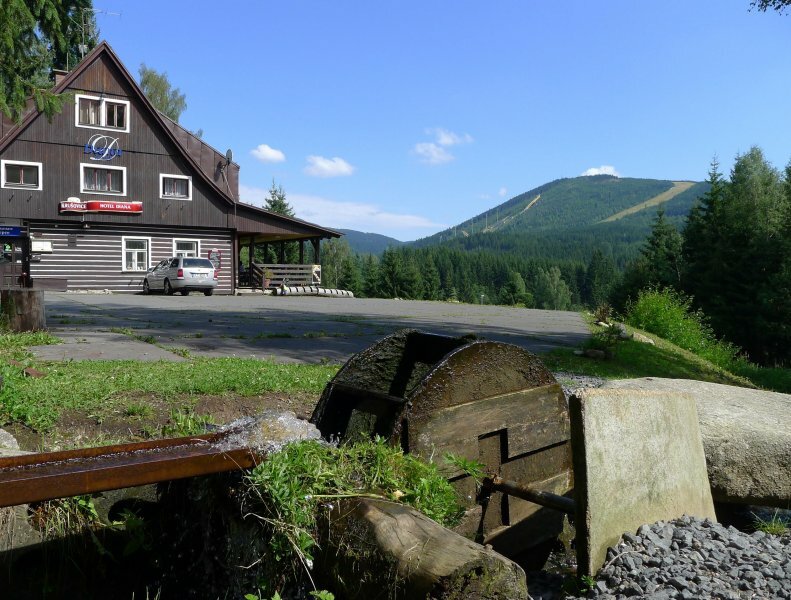 Hotel Diana is located just 15 minutes walk from city , surrounded by the beautiful and peaceful countryside overlooking the ski jumps and the Devil's Mountain.Within 50 meters from the hotel guests will find indoor pool, jacuzzi, sauna, gym and solarium. 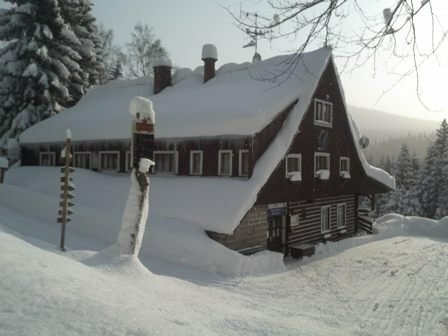 Terrace, Skiroom,Restaurant,Activities-Tennis court (100 m), Golf Course (within 3 km), Skiing, Hiking, Cycling.Internet-Free! Wireless internet is available throughout the hotel.Parking-Free! HOTEL DIANA Harrachov offers halfboard with a total capacity of 29 beds with the following composition: six triple rooms with shower and sink one triple room with extra bed, with shower and sink one double room with shower and washbasin single room with shower and washbasin one quadruple with one bed, shower and sink Shared toilets are placed directly on the floor.
! The entire price list is available on the website! Price is per person per night with Halfboard. Price is valid for stays of 3 nights or more. The price does not include recreational city tax CZK 15 pers. / Night.
! !These prices are valid for orders made before: 31.12.2013! !